Escape into the romance and magic of an African safari, as you sleep under the stars in a secluded camp while a lion roars in the distance. Spend days riding horseback and feasting on private picnics beneath the shade of an acacia tree, while thousands of wildebeest migrate around you. Fly to the emerald and aquamarine shores of the Indian Ocean, landing on a private tropical island with a lodge that embodies barefoot luxury. As you float in the gentle ocean on your final day, you will have experienced all the intimacy and glamor the continent has to offer. 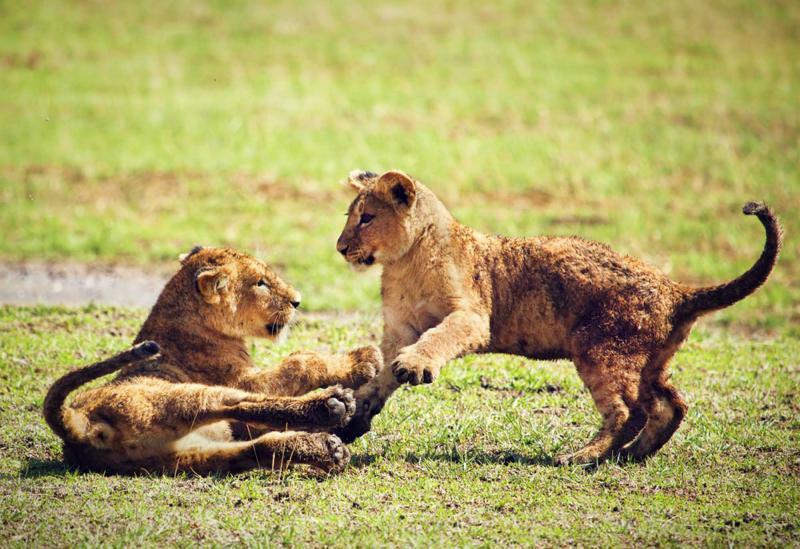 (Day 1): Arusha – Welcome to Tanzania and the Legendary Lodge! 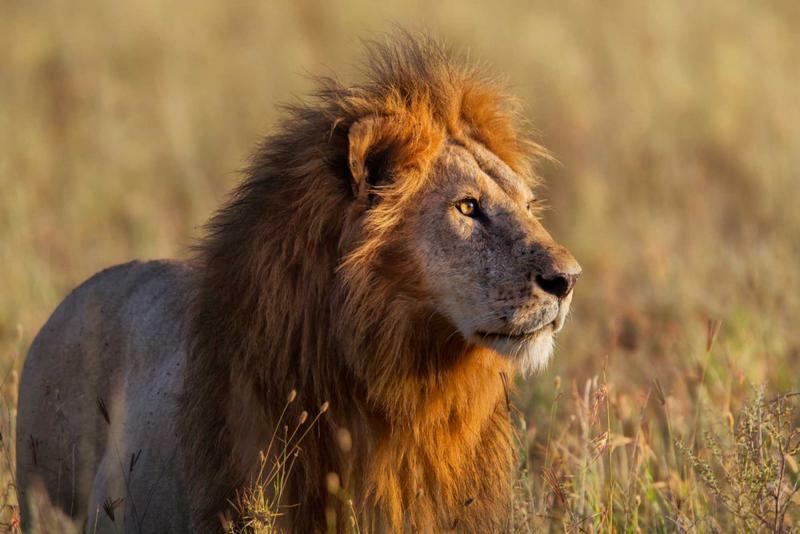 This tour will immediately throw you into the perfect African imagery as you arrive at an exclusive tented safari camp in the heart of the Serengeti. The Serian North Camp is strategically positioned to provide guests with an intimate look at the Great Wildebeest Migration in a remote corner of the park. Watching wildebeest as they plunge across the crocodile-infested Mara River is a quintessential moment in this incredible natural spectacle. Return to the camp for candle lit dinners under an uninterrupted starry night sky, while falling asleep to the roar of a lion and the grunt of a buffalo. It will not get more authentic than this. 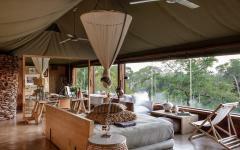 Move onwards to the opulence and luxury of the Singita Grumeti Lodge in the Serengeti North. Indulge in South Africa’s best wine from the lodge’s private collection, while gazing out onto the acacia-stippled savannah below. 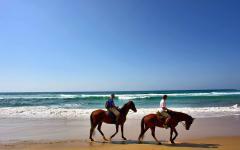 Set out on the back of one of the lodge’s thoroughbred horses for unobstructed exploration of this private wilderness. Return to your private cottage that exudes refined glamor for a bath in a claw foot tub before dinner beside a kerosene lantern. 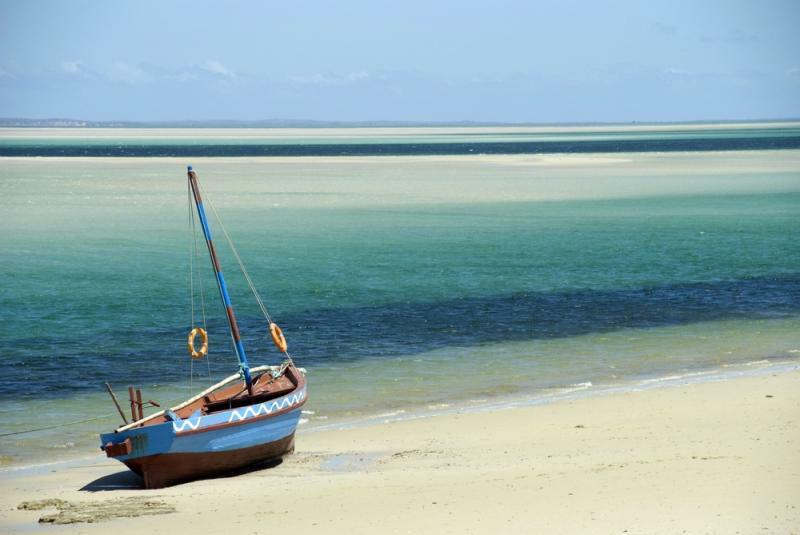 Finally, fly to the Indian Ocean, descending on the impossibly white shores of Vamizi Island in Mozambique’s Quirimbas Archipelago. Unwind amidst flowing white linen on this tropical paradise, as you indulge on fresh seafood, warm hospitality and a swim in your private pool. Sink into the turquoise waters with a snorkel, fins or scuba tank to explore pristine coral and vibrant schools of phenomenal marine life. Round off the romantic vacation with caparhnias (cocktails) as the sun sets over Africa’s eastern shores. You will best experience this package between the months of June and October. 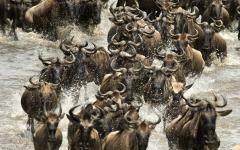 The intent was to enable guests to witness the Great Wildebeest Migration as it crosses the northern portion of the Serengeti. 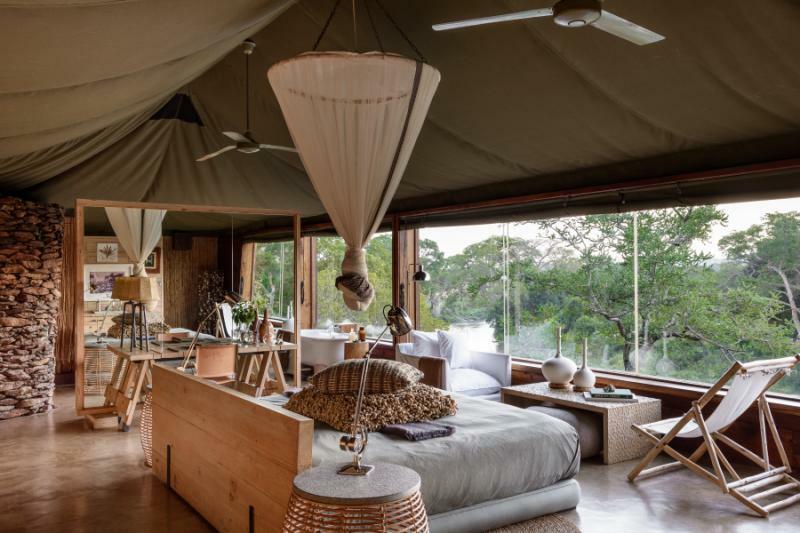 It is planned that guests will spend time at Alex Walker’s Serian Serengeti North camp, which is open seasonally from June to October, making these the ideal months for travel. This period also coincides with the driest months in the Quirimbas Archipelago. The package is however available (and phenomenal) year round. It is possible to exchange the Serian Serengeti North camp for the sister seasonal camp open in the Southern Serengeti in the alternate months, still witnessing the migration in the southern plains. 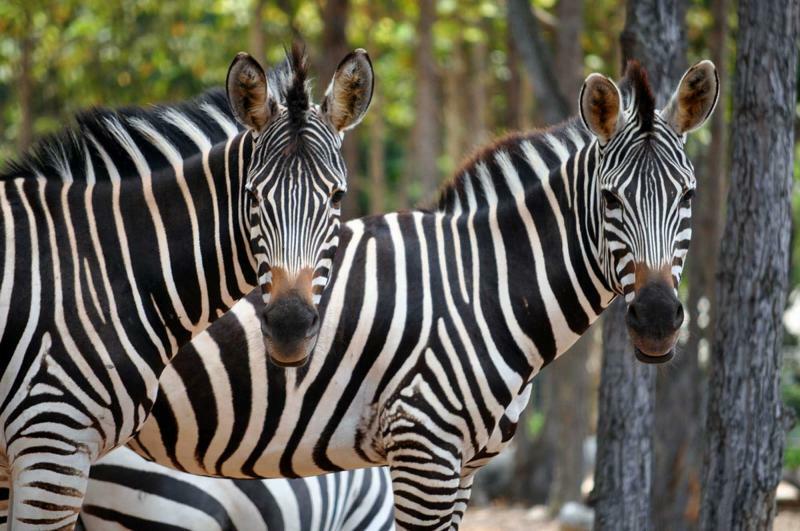 Take a look at reviews for Tanzanian safaris to learn about what other travelers experienced on their customized safari. As your international flight approaches the city of Arusha, Tanzania, you will see the tip of Mount Meru poke through the clouds before you begin your final descent. Upon landing at Kilimanjaro International Airport, a representative will meet you in arrivals and transfer you to the Legendary Lodge just outside of the city. With your own private cottage nestled between avocado, coffee and acacia trees and under the shadow of Mount Meru, this will be the perfect place to unwind after a long day of travel. Enjoy a restorative couple’s massage in the privacy of your spacious cottage before lounging by the pool as the afternoon fades away. In the evening, you will join the rest of the guests at the Old Farmhouse for a delicious and locally inspired three-course meal. Enjoy a final glass of wine on your private porch as you watch the stars emerge before retiring for the night. This morning you will rise for fresh local coffee and breakfast on the verandah, with a misty view of Meru in the distance. Awake and refreshed, you will then return to Arusha for a private air transfer to the Kogatende Airstrip in the northern Serengeti. Upon landing, a representative will meet you at the airstrip to transfer you to an exclusive mobile camp on the banks of the mighty Mara River. 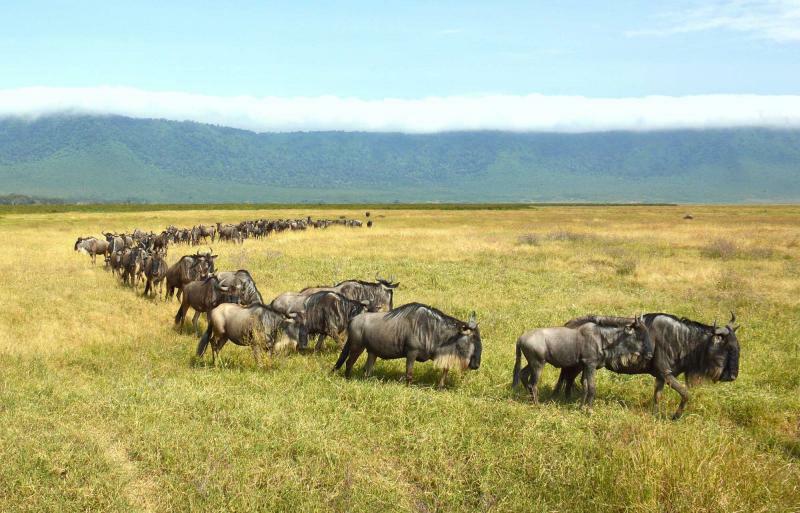 Alex Walker’s Serian Serengeti North Camp is a mobile camp positioned perfectly each year for the Great Wildebeest Migration and is a great place to begin your safari tour of Tanzania. 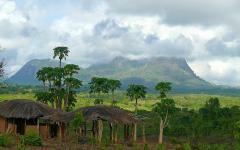 As you descend into the Wogakuria Valley, you will happen upon eight classic safari tents in the heart of the bush. Luxuriously decorated with carpets, cotton and velvet curtains, this camp will be your private oasis over the coming days. Arriving in the camp, lodge staff will greet you and begin an orientation of the camp. Alex Walker is a widely respected guide and documentary filmmaker who built his home in the Serengeti. His passion for the land is reflected in the details of this camp, and through the spirit of his staff. 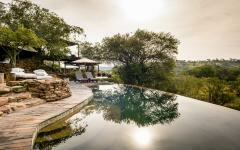 With a two-to-one staff-to-guest ratio, you can expect unprecedented hospitality in this African wilderness. The warmness and enthusiasm of the Serian camp is typically among the most memorable parts of a stay here. As today’s sun begins to set you may wish to climb into the surrounding hills for a panoramic sunset with a cocktail and appetizers – the ultimate romantic welcome to the bush. Returning to the camp for a candle lit dinner under the starry sky, you will be amazed by the quality of food prepared in this remote setting. The cooks pride themselves on their ability to incorporate local and fresh ingredients, whilst meeting your needs and desires. After dinner, enjoy a final glass of wine around the fire before retiring to your tent. Fall asleep listening to the sounds of the bush as it livens after dark. This morning you will be woken before the sunrise with hot tea served to you in bed. Setting out early with your private ranger will ensure you will witness the bush while it is at its most active. As you drive across the savannah and hillside in a private vehicle, you will begin your search for the rich wildlife that makes this park home. 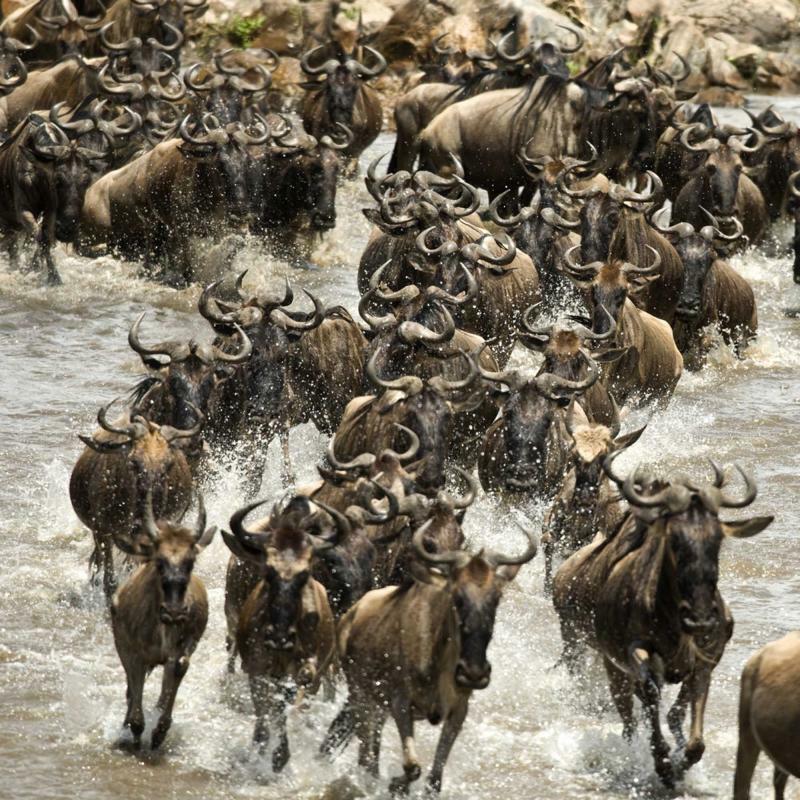 Signs of the Great Migration will be immediately obvious as you drive through a landscape speckled by wildebeest, zebra and gazelle. Those with a keen eye may even spot a lion hungrily stalking in the distance. Extensive birdlife will fly overhead, singing as the early morning ends. As the sun strengthens, seek refuge under a fig tree for a picnic breakfast in the bush. Spreading fresh fruit and pastries out over a checkered Maasai blanket will be one of many essential safari moments over the coming days. As the day continues, you will have the option either to return to camp for lunch, or to sit on the shores of the Mara River in anticipation of a dramatic wildebeest crossing. Though never guaranteed, lucky visitors will have the privilege to watch anywhere from dozens to hundreds of ungulates trundle through these crocodile-filled waters, in search of greener pastures. Taking a break from driving to sit along the shore with a book or a picnic is always a fondly remembered experience. As the afternoon sun dwindles, it will again be an opportune time to set out in search of Africa’s Big Five. 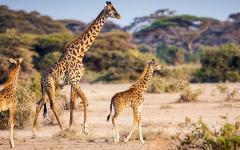 Giraffes and buffalo are plentiful in these regions, while leopards and their cubs remain more elusive. Take time to learn of the lesser-known animals endemic to the region, including kopi, hartebeest and bushbuck. As the sun sets on your first full day, pause again for a sundowner from a panoramic vantage point. Then, rather than returning immediately to camp, consider exploring the park at dark. With nocturnal creatures emerging, and behavioral patterns shifting, the park will truly transform under the light of the moon. Take pauses to admire the uninterrupted starry sky before returning to the camp for another private candle lit dinner, a warm drink and bed. This morning you may wish to stretch your legs after a day in the car, opting instead for a walking safari through the bush under the guidance of Maasai Warriors. Through this experience, you will have the opportunity for unprecedented intimacy with the Serengeti. Embarking on foot gives you the opportunity to learn and participate in the tracking process, rather than solely observing. It will also provide an opportunity to learn about the smaller insects, reptiles and plants that sustain this incredible ecosystem. Doing so at the hand of a Maasai will also give you the opportunity to learn of the strategies and methods that have enabled them to pursue a nomadic lifestyle for centuries. You will return to the camp again as the temperatures intensify, cooling off with an authentic – yet somehow glamorous – bucket shower before lunch. You will spend the afternoon lazing around camp in your airy tent, or perhaps in the main library. In the late afternoon, you will again set off by vehicle. The camp is strategically located within a particularly remote section of this often bustling national park, giving you near exclusive encounters with the prolific wildlife. Finding yourself surrounded by a herd of elephant, or face to face with a cheetah is not an uncommon occurrence. Your guide will use this final safari to round out your experience, highlighting new wildlife and returning to your personal favorites. While the safari portion of your journey is by no means finished – a final trip to the Mara to watch hippos bob as ungulates crash by will be a perfect farewell. After a final Serian dinner, fall asleep tonight anticipating the roar of a lion or the grunt of a buffalo. The camp is constantly patrolled making this a pleasant – though completely safe – reminder of your place in this expansive wilderness. This morning you will rise for a final breakfast in the bush before returning to Kogatende Airstrip for a private flight to Sasakwa in Grumeti Reserve. The private reserve abuts the broader Serengeti-Mara ecosystem, offering guests total exclusivity in this epic landscape. Based around a turn of the century manor, Singita Grumeti has preserved all that was elegant and opulent from the old world, and carried it forward with modern amenities. 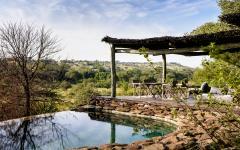 The lodge sits proudly on top of one of the highest hills, offering majestic views of the acacia-stippled savannah below. As you walk through the impeccably designed lodge towards your private cottage, pause to admire the carefully selected antiques that transport you back to an earlier time. 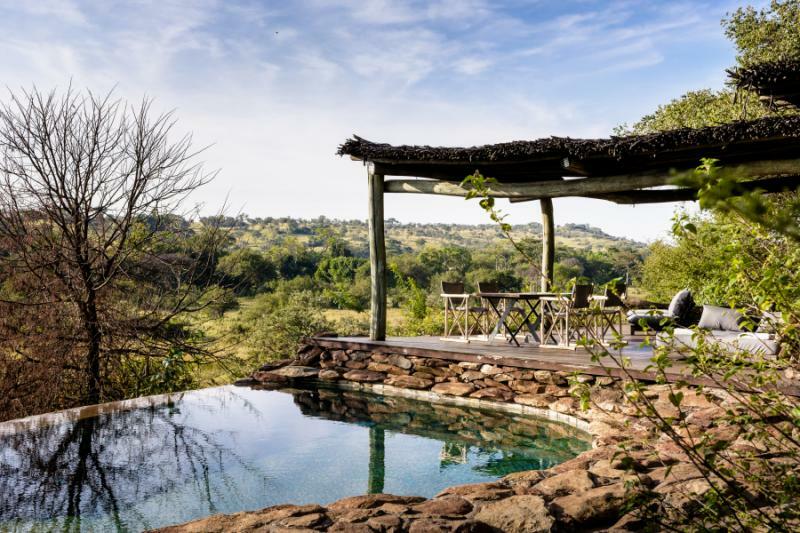 As you enter your private cottage, complete with a luxuriously deep clawfoot bathtub, fireplace and private infinity pool, you will feel a world away from the tented camps of the Serengeti North. Absorb the refined glamor from your private porch, gazing out onto the ever-changing landscape below you with a pair of binoculars in hand. Tonight, indulge as you admire the endless plains of the savannah with a glass of the continent’s best wine. Singita is one of Africa’s most influential wine purchasers, filling the property’s cellars with some of the most coveted African vintages. Sommeliers at Grumeti will happily introduce their collection, enhancing the sheer splendor of your experience. Join the lodge for a dinner under the stars as you enjoy an extravagant meal at the hand of the Tanzanian Chef of the Year, Michael Matera. Retire to your mahogany four-poster bed and turn off your chandelier before falling deep asleep. This morning, the elegance will reach new levels as you set out across the plains of the Serengeti on the back of a thoroughbred horse. 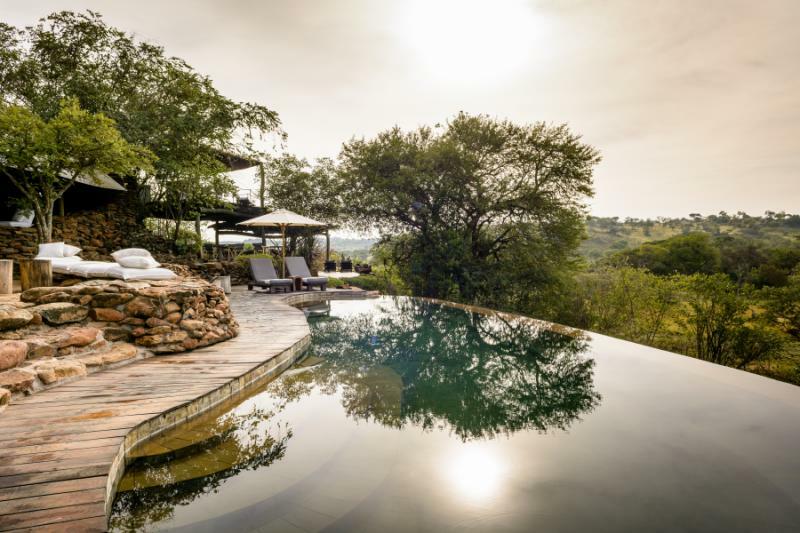 This property is home to one of the continent’s best equestrian centers, and is one of the only properties permitted to offer safari on horseback. The staff will pair you with a horse suited to your experience and preferences before setting out across the private 350,000-acre property. Trails are designed to carry riders to the region’s most remote and romantic regions, weaving between gazelles and buffalo on route. Unrestricted and unobstructed, you will spend the early morning or late afternoon traversing this majestic landscape with total exclusivity. Approaching giraffe, elephant, wildebeest and gazelle in this manner is an unparalleled experience. Return to the lodge as the temperatures rise and indulge with a spa treatment. The Singita Spa offers two signature treatments – the Serengeti Stress Relief Ceremony and the Njozi za Africa – both designed to relax and restore your body with natural remedies. Followed by a dip in your plunge pool or a steam in the inhalation room, you will find yourself rejuvenated for tomorrow’s day of safari. Enjoy another evening at a large mahogany table under the stars with white linen and perfectly paired wine. Retire to the communal fireplace for a cigar and an aperitif before returning to your cottage for the night. 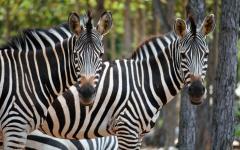 After a day on horseback, you will explore the savannah today by vehicle. Being a private reserve, you will not be confined to the roads and tracks of the National Parks. 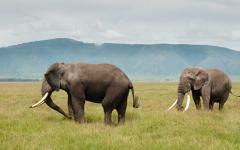 You will roam freely under the guidance of one of the continent’s best guides as you follow the movements of the wildlife. Your guide will spend today wrapping up an extensive tour of the untamed wilderness, leaving you with a deeper appreciation for the region and the paramount importance of preservation. You may wish to detour today to the remarkable Singita Grumeti Environmental Education Center. Established by the lodge in an effort to promote conservation and education, this center engages and builds value for this ecosystem with the local youth. By hosting multi-day and multi-week training sessions, Singita is playing a pivotal and pioneering role in shaping the future of this region. Visits here will not only enhance your overall knowledge of the area , but it will also show you the incredible power of responsible tourism. This afternoon you may wish to spend a final afternoon lounging in the privacy of your suite, soaking in the final moments of old-world glamor. As the sun sets, there will not be a more romantic way to end your time in the Serengeti than by floating above it in a private hot air balloon. 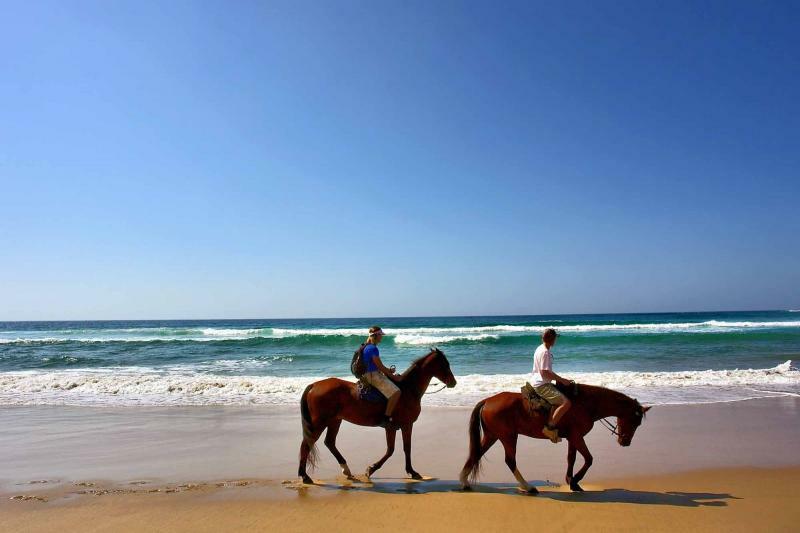 Drifting with the currents of the wind, you will be able to appreciate the true expanse of this impressive region. Flora and fauna will speckle the endless savannah below, while the theatrical African sky transforms around you. Landing in time for champagne at sunset will round off this glamorous and timeless experience. This morning you will part with the wildlife and game reserves, returning by air to Dar es Salaam on the shores of the Indian Ocean. You will spend a single night in this city at the Oyster Bay Hotel, before carrying on tomorrow to your tropical paradise in the Quirimbas Archipelago. While it is a stopover, this hotel prides itself on its ability to turn a mandatory stop into a trip highlight. The sprawling colonial house is tucked away in a quiet suburb, with every airy suite opening up onto the turquoise Indian Ocean through French doors. Dar es Salaam itself rarely captures the hearts of its visitors, so we would recommend spending the day in the gardens of this leafy property. Enjoy a poolside Pimms and fresh lobster as you eagerly await the next leg of your adventure. Today you will leave the commotion of Dar es Salaam, in exchange for what is quite possibly the most perfect tropical island paradise imaginable. After a short hop on a private airplane, you will land on the shores of an unspoiled white sand beach, with calm teal waters lapping up around you. This precious narrow island exists in the northern section of the Quirimbas Archipelago - heralded as the new Maldives. Vamizi Island Lodge has come to define beachside elegance and romance. Having only enhanced the natural surroundings with white linen, wicker and a few special amenities, this island is the ultimate barefoot luxury retreat. There is no place like it. Upon landing on the private airstrip, you will be transported to the main lodge over a 45-minute drive through the rugged interior of the island. Look to the trees during this bumpy adventure, where samango monkeys and the impressive coconut crabs are often found. You will then be taken to your exclusive kitala – a local Ki-mwani word for beachfront villa. Sprawling and airy, you will live in a third style of luxury that contrasts the opulence of Singita and the wilds of Serian North. Casually migrate towards the lodge bar to lounge in piles of cushions while you sip on a caparhina – a Portuguese mojito – or a glass of South African wine. As the stars emerge, join the lodge for a fresh seafood dinner, complimented by local tropical flavors. 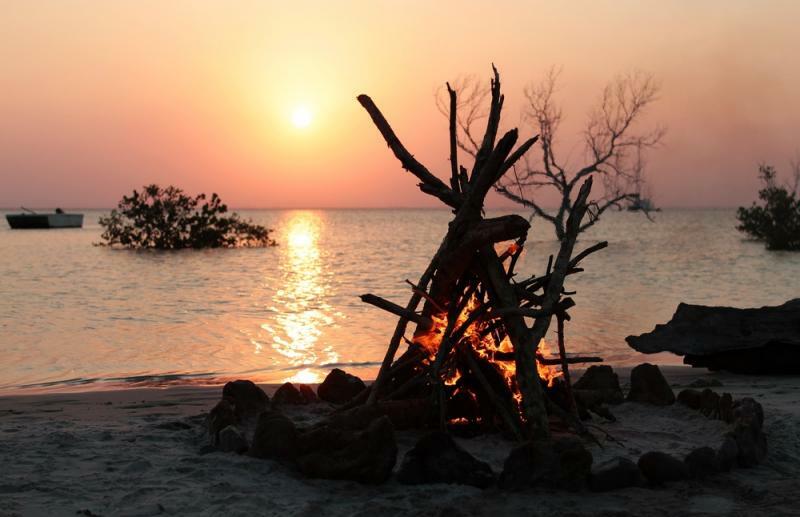 After days of adventure in the bush, you may wish to spend today quietly lounging on the shores of this private island. Days at Vamizi are completely individualized, with a fabulous team of staff who will eagerly organize any adventure or form of relaxation you wish to take. Venture out this morning onto the squeaking white sand beach, combing the shores for intricate and brightly colored seashells that wash up daily. Beyond the odd guest, and perhaps a sea turtle, you can exclusively wander the shoreline for miles. Vamizi will happily pack a picnic basket for you to carry until you find the perfect romantic and secluded spot for a tropical island lunch. Dip into the calm and perfectly clear ocean to cool down as the sun strengthens, and then slowly amble back towards the lodge. In the afternoon, you may wish to set out into the interior with one of the lodge’s nature guides. 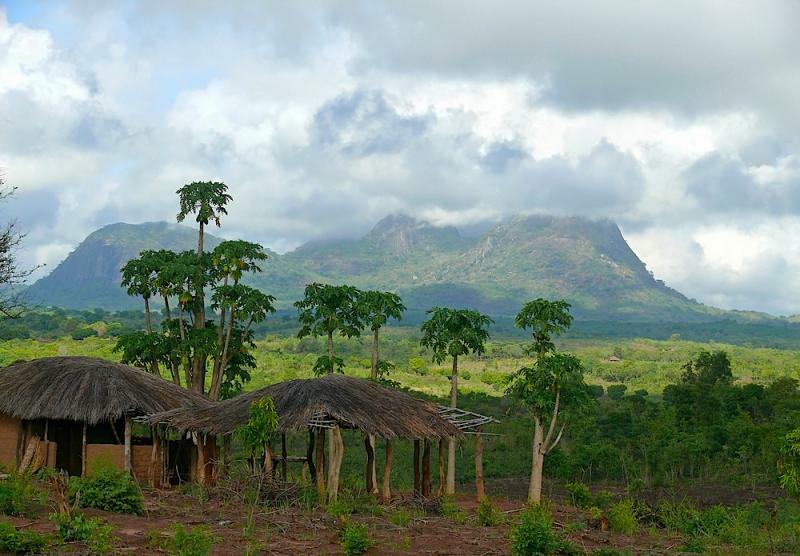 Though tiny, Vamizi has an impressive number of primates, butterflies and birds in the rugged coral bush. The enormous coconut crabs are always a highlight on these tours. These humungous creatures spend their days scampering up palm trees, crushing coconuts with their impressive claws. They do show an affinity for cell phones and sandals as well – so, keep an eye out for these mischievous and endemic scavengers. Returning to the shore for dinner, another fresh meal will be served beside candles and stars. If yesterday was spent exploring the shoreline, today may be a perfect opportunity to explore the sea. Setting out on the lodge’s traditional dhow sailing boat, you will calmly be carried through the ocean to world-class snorkeling sites. Lucky visitors will also have the opportunity to swim alongside resident dolphins, and perhaps boat beside the breaching humpback whales. The colors of the Indian Ocean are inexpressible. Teal, aquamarine and turquoise only begin to describe the theatrical ocean that transforms with the tide. Cobalt, cerulean and sapphire evoke better imagery – but you really must see it to understand. Dipping your head below into a vibrant array of rainbow colored coral and marine life only further enhances the experience. If craving an ocean adventure, set out with the PADI certified lodge for a scuba diving adventure. 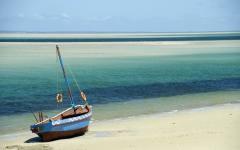 The reefs and marine life in this secluded ocean are truly among the best in east Africa – if not worldwide. The isolation of these reefs, coupled by dramatic drop offs, have left these systems in pristine condition. As you dive between shoals of tuna, barracuda, grey reef sharks and groupers, you will need to keep your eyes open for the graceful sea turtles that happily call this area home. A visit to Neptune’s Arm launches divers into thick schools of fish that manage to hinder visibility in these otherwise clear waters. This site in particular has been named one of the world’s top 10 diving locations. Deep sea fishing is also a popular activity here, and Vamizi staff will excitedly join you in a search for yellow fin tuna, wahoo and marlin. Setting out with the lodge’s professional anglers on a 28 foot Magnum is an incredible adventure for experienced and novice fishermen (and women) alike. Best of all – your catches will be brought back to the lodge for tonight’s dinner! Dinner will not get any fresher than this. Sun kissed and relaxed, you will board a private flight back to Dar es Salaam this morning in order to catch your onward flight. At this point, you will have experienced the absolute best variety of Africa and it will undoubtedly be difficult to pull yourself away. 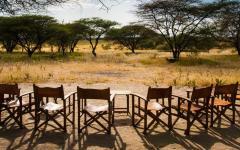 For guests wishing to extend the magic and romance just a little longer, this tour is completely customizable and we will happily add on an extension to Kilimanjaro or perhaps another safari.